Yesterday, the University of California Board of Regents held an open meeting allowing students, faculty, members of the UC community, and other interested parties to share their thoughts on UC’s proposed Statement of Principles Against Intolerance. 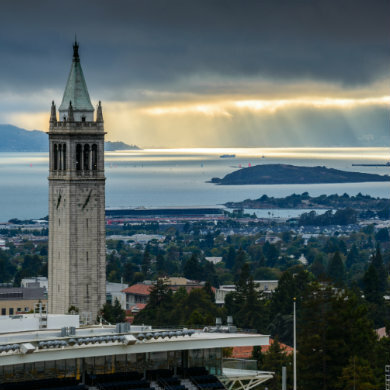 The statement came about after the UC Regents decided not to adopt the U.S. State Department’s definition of anti-Semitism. Free speech advocates pointed out that a public university’s adoption of this definition as policy would raise serious First Amendment concerns and chill protected speech, including criticism of Israel’s government. Given the First Amendment concerns over both proposed policies, that this open meeting was held on Constitution Day was fitting. Many speakers at yesterday’s meeting agreed that the new proposed policy was a bad idea—but, unfortunately, for a different reason: they want UC to draft a policy that is even more hostile to speech. The Israeli-Palestinian debate has led to an atmosphere where many Jewish students who support Israel are often spending their college years in a climate of intimidation, not just from Pro-Palestinian students but in many cases from professors in the classroom. The problem is not neo-Nazis or skinheads. Rather, it is the pro-Palestinian lobby such as the Students for Justice in Palestine, BDS promoters and other faculty allies. Each year these groups invite speakers to campus, some of whom cross the line from legitimate criticism of Israel to attacking Jews as people. When I was a student at Berkeley, it was criticizing the US government that wasn’t permitted. In fact, we had to have a free speech movement in 1964 in order to have any political speech on campus. So now apparently criticizing the Israeli government is going to be banned. As this commenter suggested, it’s noteworthy that students in the UC system have historically fought especially hard for their First Amendment rights—rights that should not be so easily set aside. A group of UC students made a joint statement together saying that the State Department definition of anti-Semitism is “the only existing definition that is capable of addressing the nuanced hatred that we experienced on our campuses today.” If UC follows the advice of these speakers and a majority of those present at this meeting, it will be adopting a deeply troubling policy. Another worrisome trend in this meeting was the use of criminal or violent acts as examples of why this policy is needed. Several commenters brought up examples of vandalism, including swastikas drawn on fraternity houses and violence against Jewish students, to justify the adoption of the State Department’s definition. But these actions are criminal—they’re already illegal. Trying to target such acts through this new policy is not only superfluous, but would implicate constitutionally protected political speech in the process. Comments from the Regents themselves were hardly any better. While Regent John Perez’s acknowledged that the State Department’s definition could potentially limit academic freedom, that was one of the few displays of sound judgment. I should add that over the weekend my wife, your senior Senator, and I talked about this issue at length. She wants to stay out of the conversation publicly but if we do not do the right thing she will engage publicly and is prepared to be critical of this university if we don’t have the kind of not only statement but penalties for those who commit what you can call them crimes, call them whatever you want. Students that do the things that have been cited here today probably ought to have a dismissal or a suspension from school. I don’t know how many of you feel strongly that way but my wife does and so do I. Yes, a UC Regent flatly threatened the university with political consequences if it failed to craft a “tolerance” policy that would punish—and even expel—its violators. I just wanted to say that I agree with Regent Blum, that principles are great, rejection of actions are great, but we need to address the punishment. If we don’t have punishment we’re just putting a lot of paper together. We’re just stating a lot of stuff on pieces of paper. The board concluded the meeting by saying there was more work to be done, and announcing the formation of a working group, led by Regent Eddie Island. Island said he would compose a group of university stakeholders who would work together to craft a policy that addressed concerns about both intolerance and freedom of speech. We at FIRE believe robust protections for freedom of speech accomplish both goals by providing a platform to debate the merits (or lack thereof) of intolerance in the marketplace of ideas. Hopefully this working group recognizes that more speech and the hard work of convincing someone they’re wrong are the only real, effective remedies against intolerance. UC students and faculty who value free speech and academic freedom should watch these developments very closely.